Spray Gun Problems | Leaking? Clogging? Find Out Why. What are some Common Issues with My Spray Gun? All spray guns are tools that are engineered to tight specifications and (this is especially true of automatics) have a large number of small parts that must work together in unison in order to give you an effective spray cycle with no leaks. 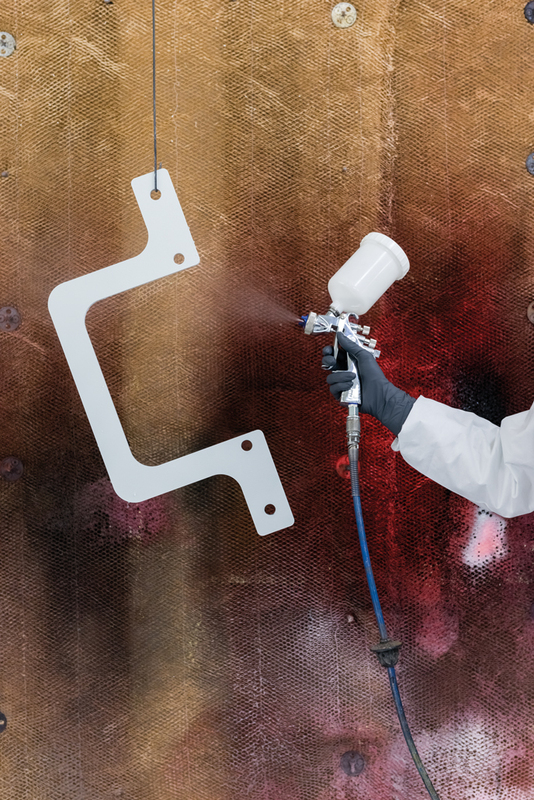 However, even though there are upwards of 40 parts in a single spray gun, there are only a handful of those that are high use parts that experience wear and tear with every trigger cycle. About 90% of the issues that occur, including clogging, leaking (air or material), intermittent spray, and uneven spray, are caused by general wear and tear of these parts. Here is a quick troubleshooting list of common problems and their associated fixes. Here are some common spray gun problems and how to remedy them. Dripping or leaking from the nozzle tip when gun is not triggered: This means that the needle and nozzle are not seating correctly. This can be due to wear & tear, damage, clogging or debris. Remove the nozzle and make sure there is nothing in it that would prevent the needle from seating. Upon reattaching it, if there is still a leak you will most likely have to replace the needle and nozzle. These should be replaced at the same time. Material is not flowing: There is a material blockage somewhere in the gun or your supply. If you are running a gravity gun, check to ensure your cup is properly attached. If it is, check to see if your cup is vented. There should be a small hole near the top of your gravity cup that allows air into it when the material leaves; make sure this hole isn’t plugged. If you are running a material feed, check your material pressure. If your pressures are fine, then observe the needle when you pull the trigger to make sure that it is retracting from the nozzle. If it isn’t, then you will want to replace the needle assembly. Note that additional spare parts may be needed. Packing is leaking: You need to adjust your packing. Simply tighten down the packing nut until the leak ceases. If this does not work, then you need to replace the needle seal packing. Note that additional spare parts may be needed. Asymmetrical spray pattern: This is likely due to a clogged, dirty or damaged air cap. If you are not getting even air flow from all of the holes in the air cap, your spray pattern will suffer as a result. Remove the air cap and clean it using solvent and the brushes that come in your maintenance kit. Do not use picks to clean the holes out as they can easily get damaged. If, after you clean out the air cap, you are still not getting a good spray pattern, it is damaged and should be replaced. Spray gun problems are something that eventually affect everyone that uses some type of coating system. With a little bit of knowledge and prevetative mainteance, you can minimize issues and save money and time.